Some cities have a unique way of relating to the world around them. They have a hum, a certain lifeblood, a raison d’etre, if you will. Washington, D.C. runs on politics. In Los Angeles, that hum is the entertainment industry, referred to simply as “the industry.” Even ordinary folks know what’s playing at the NuArt, or the release date of the newest Charlie Kaufman film. New York runs on two motors simultaneously: the financial sector and the arts. Having just spent a whirlwind 36 hours in Nashville, I was sitting down to write this blog post, which was initially intended to be about one of Nashville’s independent bookstores, but I found that my thoughts kept turning to music, to the idea of a city being so much defined by and seen for one thing. 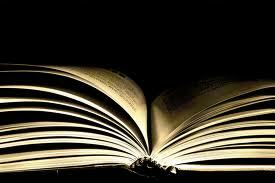 When I think of reading or writing, books are generally the first thing that comes to mind. But of course, writing comes in many print and digital forms: magazines, literary and other journals, newspapers, blogs, reviews, and songwriting. To me Nashville is a hub of musical authorship. The Country Music Hall of Fame sold LPs in their gift shop. Both BookManBookWoman and Parnassus Books, which we visited, had large sections devoted to music history and musician biographies. The Nashville Public Library’s Civil Rights Room had a video booth where you could watch films about the history of the movement, including the history and evolution of the song “We Shall Overcome.” Even Cafe Coco, a 24-hour coffee shop in Midtown near Vanderbilt, boasts one of those guitar-pick signs out front. The place we stayed had three posters on the walls: one of The Beatles’ White Album, one advertising Dylan’s first New York concert at Carnegie Hall in 1961, and inexplicably, a framed commemorative stamp set devoted to Barry Goldwater. Two out of three ain’t bad. 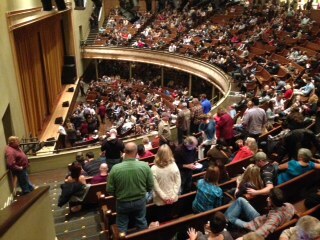 And they can pick more notes than the number of ants on a Tennessee anthill. The twangy, toe-tapping tune was released in November 1966, six months following the release of Dylan’s Blonde on Blonde album, generally regarded as one of his best, one of music’s best, and recorded almost entirely in Nashville. 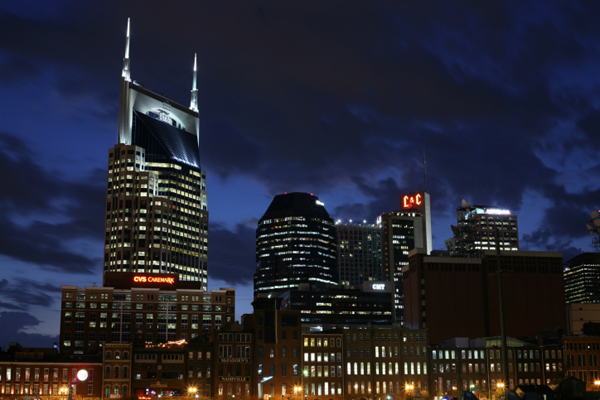 People tend to think of Nashville as a honky-tonk city, where country music looms large. While country is perhaps still king in Nashville, the impact of Dylan’s recording Blonde on Blonde allowed Music City to be just that, about music and not just about country. When Ketch Secor, exuberant harmonica and fiddle-playing frontman for the Nashville-based old-timey band Old Crow Medicine Show, speaks about country music, he muses that Bob Dylan, not Hank Williams, Sr., might be the most influential country musician of the 20th century. 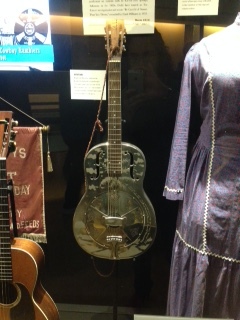 The “Dylan, Cash, and the Nashville Cats” exhibit described a Nashville that was popular for country music stars, but not a city where artists from New York came to record, and not a music destination. After Dylan went to Nashville, however, numerous artists followed, soaking in the musical history of the storied city and availing themselves of the superior guitar-picking skills of Nashville’s session musicians. The Byrds recorded Sweetheart of the Rodeo there, and you can hear it from the first notes of their cover of Dylan’s “You Ain’t Goin’ Nowhere.” Neil Young traversed the Rockies from California to lay down Harvest, and Car Wheels on a Gravel Road, the album that made Lucinda Williams famous, was recorded there as well, to name just a few. 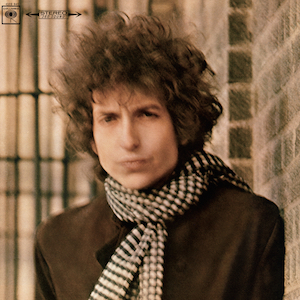 In 1969, several years after the release of Blonde on Blonde, Dylan put out his album Nashville Skyline. The record company wanted him to change the album title, saying that it would connote a regional appeal to the music and would not sell widely as a result. Dylan held firm, and the album became a huge hit for him and for Columbia Records. The album’s liner notes were composed by Johnny Cash, who sang with Dylan on the album’s first track, “Girl from the North Country.” The notes are not really a description of the album or its songs, but a free form poem about Dylan, and his essence as a songwriter. from a brilliant erupting cone. If you think of Nashville as a place where words, work, and songs are like strong, quick flashes of light, then you get a sense of what it might be like for a city to be defined by one thing, and for that one thing to be music. We’d like to hear your views on Nashville and songwriting, or perhaps you’d care to respond to this question: What one thing defines your city? This entry was posted in Beyond Books, The Writing Life and tagged Bob Dylan and Johnny Cash, Bob Dylan Blonde on Blonde Nashville, Bob Dylan Nashville Skyline, BookManBookWoman, Country Music Hall of Fame, Evolution of "We Shall Overcome", Grand Ole Opry, Johnny Cash liner notes Nashville Skyline, Nashville more than country music, Nashville Music City, Nashville Songwriting, Parnassus Books, Ryman Auditorium, Session Musicians. Bookmark the permalink. I think Atlanta has and has had many identities: home to Margaret Mitchell’s GWTW, the Gate City (to the New South), the Southern New York, a sports-mad city (although we can’t seem to produce a regular stream of champions). Probably every person you’d ask would have a different opinion. Great post! It’s been a while since I’ve been to Nashville and this makes me want to return! Interesting to read about all the non-country musicians with ties to the great Music City. Song lyrics are a powerful and moving genre of writing. Now I want to sing my poems. Thanks Janet. We hadn’t really spent time in Nashville before, and it was awesome! A great southern city. I loved this post! Among other things, it made me giggle about the way the characters write their country songs in my guiltiest-pleasure TV show, Nashville. Nothing to it, apparently: you just sit down with your ex-lover/the guy you have a crush on/your best friend, tap your teeth with a pencil a few times, and voila! Platinum hit.